Celebrate a Hop-py Easter with Egg Hunt aboard Star of Honolulu! Posted on March 20, 2019 at 10:14 pm. There’s no better way to enjoy a hop-py Easter than aboard the Star of Honolulu! The family-friendly Easter Champagne Brunch Cruise departs from Aloha Tower Marketplace at 12:00 noon on Sunday, April 21 and is the perfect way to celebrate this egg-cellent holiday. 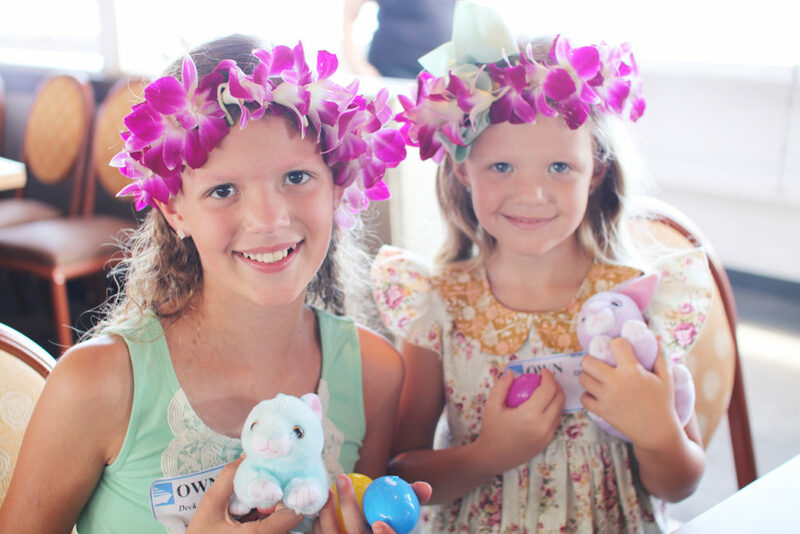 Aboard the Easter Champagne Brunch Cruise, kids and adults alike will have a great time participating in an Easter egg hunt and prize giveaways. The whole family will also enjoy Hawaiian cultural activities, such as lei making and hula and ukulele lessons. Throughout the daytime cruise, guests can leisurely browse the STAR’s four levels of panoramic walk-around decks, soaking in the incredible ocean and coastline views. Of course, no Easter celebration is complete without brunch! Cruise-goers aboard the Easter Champagne Brunch Cruise will be treated to the delicious Taste of Hawaii Buffet, featuring favorites such as Alaea Salt Roast Beef carved onboard, Teriyaki Chicken, Citrus Miso Glazed White Fish and Fried Saimin, as well as a dessert and coffee station and sparkling “champagne” toast (non-alcoholic option also available). Click here for the menu. Treat the whole family to an Easter adventure at sea and book your Easter Champagne Brunch Cruise today at (808) 983-STAR (7827) or www.StarofHonolulu.com. Star of Honolulu Reports Record Humpback Whale Sightings! Posted on March 12, 2019 at 9:12 pm. At Star of Honolulu, we pride ourselves on delivering the best whale watching experience complete with a child FREE special, breathtaking ocean views, a comfortable touring vessel, and guaranteed whale sightings. If whales aren’t spotted, we give our guests a FREE return “Whale Check” for them to try again (meal and transportation optional). 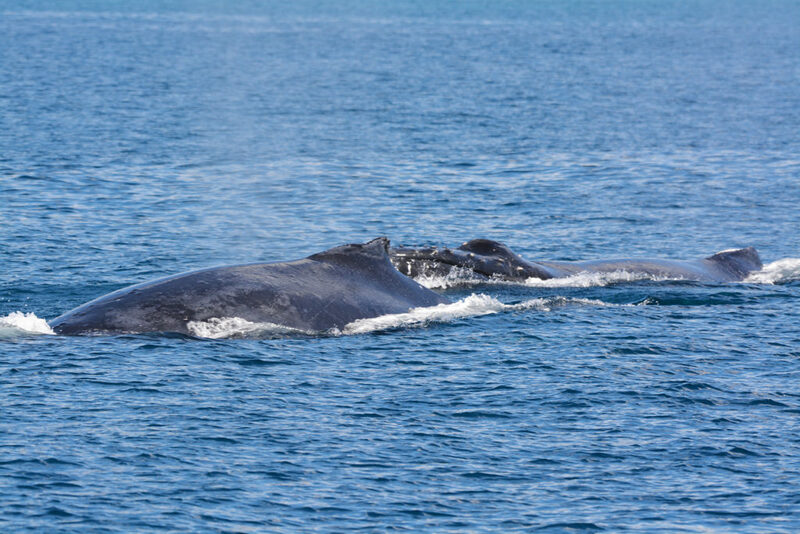 With whale watch season ending on April 5, 2019, there’s no better time than now to join us for a whale watching cruise! For those looking to enjoy a morning excursion at sea, opt for the Early Bird Whale Watch Cruise, which departs from Aloha Tower Marketplace at 8:45 a.m. and returns at 10:45 a.m. There’s also the Premier Whale Watch Cruise, which departs at 12:00 p.m. and returns at 2:30 p.m. During the afternoon cruise, guests can engage in a variety of Hawaiian cultural activities, such as lei making, hula and ukulele lessons, and an interactive keiki program. Don’t delay—book your Star of Honolulu whale watch cruise today! For more information, call (808) 983-STAR (7827) or www.StarofHonolulu.com. If you cruise with us aboard the Star of Honolulu, you might learn from one of our certified Naturalists about the Humpback whales’ song. Humpbacks are known for their mystical songs, which can travel impressive distances underwater and continue for hours and hours. But how much do people know about how and why these songs are sung? In the last couple of years, scientists have made great advancements in understanding the mysterious noises that Humpback whales make and how they change over time. Contrary to what many people believe, whales sing a new tune every few years. Scientists have found that, while all of the male Humpbacks in a pod sing the same song, over time they begin to adopt new songs from migrating whales nearby. The Humpback song, then, seems to spread gradually, with Humpbacks learning a new tune in a similar way that humans do! What remains a mystery: why do Humpback whales make these noises? We may never know! 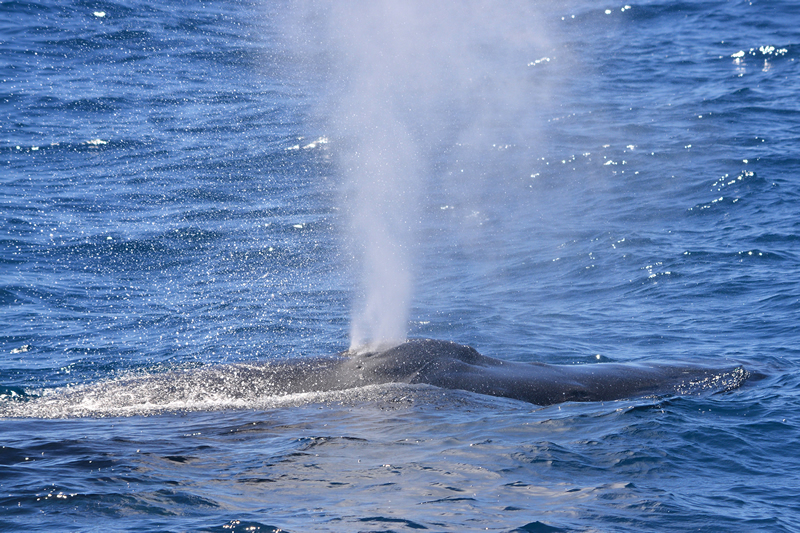 Learn other fun facts about Humpback whales from our certified Naturalists! To book a whale watch cruise today, call (808) 983-STAR (7827) or visit www.StarofHonolulu.com.